Beavers, Cubs or Scouts who do not attend regularly lose out by not having the opportunity to complete their badge work, their attendance patterns can have a detrimental effect on the rest of their team, and they can create problems for the leaders in organising activities. They are also depriving another child of a place in the Group. 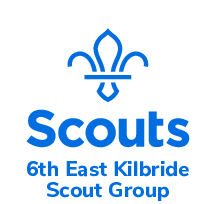 The 6th East Kilbride has as a long waiting list. Any Beaver, Cub or Scout who misses two consecutive meetings without valid reason (principally illness) will immediately forfeit their place in the Group. Members may be immediately removed from activities for more serious behaviour. This is at the discretion of the leader in charge. Parents will be informed when a member has been removed from an activity and will also be informed of repeated poor behaviour over a series of meetings. The support and cooperation of all parents in reinforcing these rules will ensure that our Beavers, Cubs and Scouts can enjoy and benefit from all our activities.